Had this been our first ever Listener attempt, I believe we would have admitted defeat and never tried again. It was surely this year’s most difficult so far. Perhaps the numpties are just becoming numptier, but it seems to me that the difficulty increases, week by week. If last week’s Ks and Os didn’t deliver the KO blow to the ‘all-corrects’ there must be a fair chance that this week’s will. No, I probably underestimate you clever fellers. Perhaps you (unlike us) didn’t agonise all through Friday and Saturday and produce about half a gridfill. We began by looking up Wet Wet Wet and found that it was a very well-known Scottish pop group with a lead singer called Pellow. We are obviously the wrong generation and had never heard of them but – BIG BUT – would the Listener Powers That Be tolerate a theme that perhaps fifty percent of us would have to consult Google for (I like prepositions at the end of sentences, Roddy!) Perhaps Pellow was a rather crude misprint for ‘fellow’, ‘yellow’ or ‘bellow’. We began the usual hard labour of spending about fifteen minutes on every clue and achieving the grand total of twenty in place shortly after midnight. That is a kind of watershed.’ We shall persevere since we are half way there.’ Half way? Fond dream! We had spotted LA PUCELLE – a maid (could she be lovely Rita, meter maid?) and a potential JUDE – perhaps ‘obscure’ or even ‘Hey Jude’ and a Beatles theme, but there was that fearsome right-hand side of the grid, almost totally highlighted for unclued lights and looming large and empty. These were difficult clues, especially with the double hurdle of unclued lights and extra words. We slowly collected six likely candidates for extra words: BEAM, BRAID, SONG, PIG, ROW and SONGWRITER. We even had SOMERSET at first, on the basis that ‘Somerset town historian turned up to cover game’ led to REPORT. Nice one – we have the historian ROPER, turning up after T(own) and REPORT is ‘to cover game’ leaving us ‘SOMERSET’ (incidentally the home for some time of the Lake Poets) – and one error leads to another and slowly into total disaster and despair. LA PUCELLE, our maid, made sense now (Southey’s ‘The Vision of the maid of Orleans) but we were well into Sunday before examination of the longer clues (the ones more likely to lead to two-word synonyms of the Lake Poets’ works) turned up LENT LILIES (Daffodils) and OLD SALT (The Ancient Mariner). 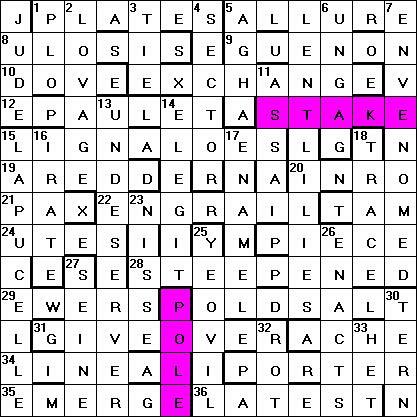 We could almost complete the grid now but there were those unclued entries; ‘Each of six unclued entries is part of a word or phrase defined by an extra word in one of six clues. The added parts (not in the grid) are words that make up the members of a group’. It is spelt out clearly enough, but I went sniffing after red herrings for hours. 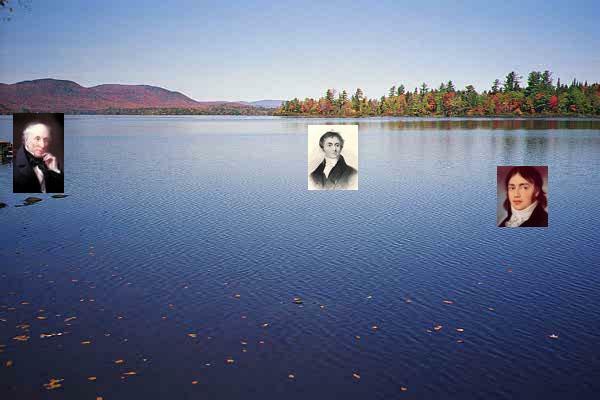 There were more lake poets – Dorothy Wordsworth, Thomas de Quincey, John Wilson, Charles Lloyd and Hartley Coleridge. Which six? And how were we to transform those extra words into six names? Doh! 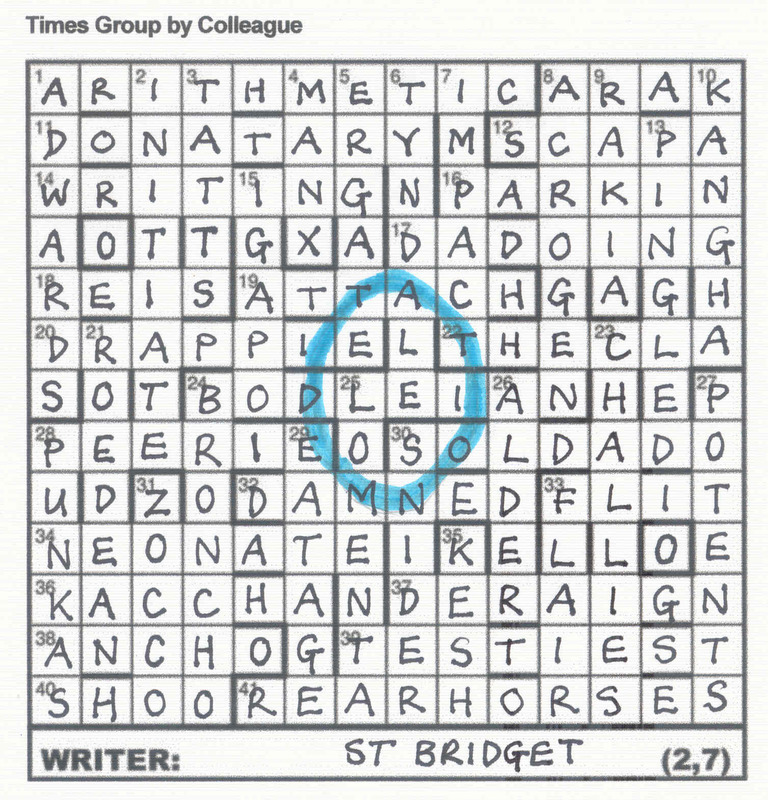 This was our third Lato crossword in our short Listener solving career. There were No 4012: Explanation (“Let me have men about me that are fat) and No 4047: Cut Out – both with literary themes. We should have been warned! If he is increasing the difficulty level to this extent each time, a real shocker is in store in a month or two. However, this was an impressive piece of work with so much to discover after the initial grid fill. 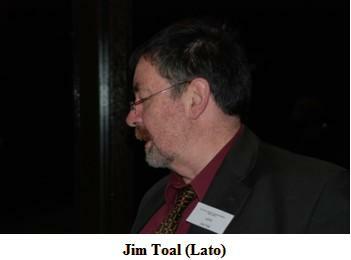 Thank you, Lato, for filling our weekend too. I do seem to have encountered Lato an awful lot over the years – The Crossword Database currently lists an impressive total of 60 puzzles, 11 of them Listeners and there was a further Listener under the pseudonym Vlad the Compiler. It may be due to confusion with the similarly named and even more prolific Loda (92 puzzles) but I have not managed to gain a general impression of Lato’s work, except, might he perhaps have a penchant for puzzles with an unusually large number of unclued entries? It was certainly the case here with 11 out of 49 entries unclued. The consequence of this is that it can take quite some time for the theme to be discovered – we have learnt to ignore such blatant hints such as the title and extra words (song, songwriter), which appeared to indicate a musical theme. ECGOTA? = COTTAGE: linked with 10ac to give Dove Cottage, Wordsworth’s home in Grasmere. So, the theme was confirmed as the principal Lake Poets: Wordsworth, Coleridge and Southey. It all fitted together very nicely to make a lovely puzzle. I had never knowingly met or corresponded with a poet but by coincidence did on the day before this puzzle was first available online. None other than Verity Hill commented on my blog The Domino Effect by Googly. Hindsight, they say, is 20/20, which explains why the preamble and title of Lato’s latest Listener made perfect sense after I’d solved it but didn’t on the Monday morning when I sat down with a blank grid in front of me. In fact my grid was pretty much the same as the expression on my face. There are unclued entries partly defined by extra words, added bits not entered in the grid, three works by the group, unclued, and seven misprints. So, we have a group of six artists (I guess) and three of their works … shouldn’t be too difficult. Lato is becoming quite a prolific setter, with a lot of IQs (one every 3 months or so) and EVs (every 6 months). His last Listener was last about a year ago, 4047, Cut Out, with its Dickens theme and the requirement to highlight DOOR, being an anagram of DROO(D). I seem to remember the clues were quite tricky, and those in this puzzle proved equally so. 22ac: Make a border in new garden — had to leave in a bit of lawn (7) anag of [GARDEN – D (had)] + I (in) L (bit of Lawn). I finally had all the clues resolved, with 8ac (see above) one of the last. The three two-word works by the group seemed to be OLD SALT, LENT LILIES and LA PUCELLE (the one that’s missing its article in Chambers). LENT LILIES are daffodils, and Wordsworth was an obvious candidate. Wiki-ing him, and the entry begins “William Wordsworth (7 April 1770 – 23 April 1850) was a major English Romantic poet who, with Samuel Taylor Coleridge, helped to launch the Romantic Age in English literature …”. Linking to Romantic Poetry gives the big six, Wordsworth, Coleridge, Blake, Byron, Shelley and Keats. The extra words in clues were beam, braid, song, pig, row and songwriter. The entry in the top left corner, .UDE, seemed to shout out Hey, Jude, and HEY is sort of in Shelley. EXCHANGE suggests WORDS, and BEAM suggests RIDGE. Then everything grinds to a halt. I try all sorts of things to fit the other extra words into the poets, but to no avail. I’d sussed out OLD SALT as being The Ancient Mariner, and La Pucelle is Joan of Arc which Coleridge helped to rewrite but was in fact written by Robert Southey in 1796. Hmmm … Southey! He’s cropped up a bit in what I’ve read, and there’s HEY with the SOUT of soutache (braid). Reading the first line of the Wiki entry for him gives “an English poet of the Romantic school, one of the so-called ‘Lake Poets'”. And there were three main Lake Poets (Wet Wet Wet), namely Wordsworth, Coleridge and Southey. As I said at the beginning, with hindsight the preamble finally fell beautifully into place. The six extra words are paired as: row (EXCHANGE as an unclued entry) WORDS + pig (TAM unclued) WORTH; songwriter COLE (PORTER) + beam RIDGE (PIECE); braid SOUT (ACHE) + song HEY (JUDE). I’m sure you don’t want to see my completed grid (Shirley’s will probably do), so here’s a picture of a lovely lake. Thanks for a tough puzzle, Lato. Grrrr! Times Group, by Colleague – tough! How naïve can the numpties be? We had a completed grid after two hours of solving and were proudly thinking that, at last, we had become star solvers. “What an easy fill”, “That must be the easiest Listener ever!” etc. (Though we did admire the wonderfully direct cluing and, later, were able to appreciate how those key words were disguised with other meanings – KARA hidden in a swill of the usual alcohol, for example). You have heard it all before. An hour later, two hours later, three hours later – we were back at the bottom of the class. A hefty snifter, sleep and a fresh look in the morning seemed to be the only hope. 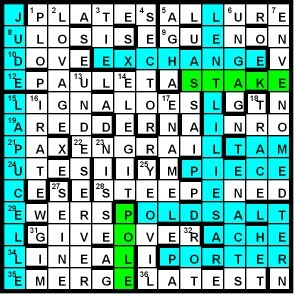 We must have been unusually slow on the uptake; we had listed all the possible anagrams of every word in the grid in our hunt for tidy little groups of two or three and come up with biscuits (PARKIN and NACHO), Greek names (ACHILLES, TELAMON and THECLA) lifty words (RISE, LIFT, REAR HORSES) and, of course, the usual constitutional dose of Listener setters’ alcohol (ARAK, DRAPPIE and maybe a drop of GRAIN liquor). Our Greek heroes provided the most satisfactory red herring since they seemed to be creating a PI symbol in the grid. Then light dawned! READING, RITING and RITHMETIC – the three Rs. We weren’t home and dry yet. The obvious next move was further resort to Chambers Big Red Book and a trawl through the opening section of each letter chapter. We were sweltering in temperatures in the mid thirties by this time and the pages must have grown sticky as, on my first run through I found the three Fs and the 15 Os but completely skipped the five Ks. We had commented on the excess of Sikh words in the grid and even argued about our KESH solution – “Why have you put that? Where’s the definition? (King afraid for some without navy. Big shock?) “Well, it’s K for King, then (N)ESH which is dialect in the north for peelie-wally or rad, and kesh is that mass of uncut hair worn by Sikhs – a shock – it’s obvious!” But it took a second, more careful hunt through Chambers to provide the 5Ks and alert us to the fact that we had KIRPAN and KARA as anagrams, when I had been thinking we had PARKIN with a wee DRAPPIE of ARAK! Three fives are fifteen (that far even I – the Listenernumericaliphobe can go) and perhaps that explains the title, TIMES GROUP. We had already spotted fifteen Os but were we honestly going to find fifteen of St Bridget’s meditations in some form in the grid? We hit lucky, at that point, and resorted to simply counting the letter Os in the grid, and, of course, there were thirteen (that letter/literal thing!) 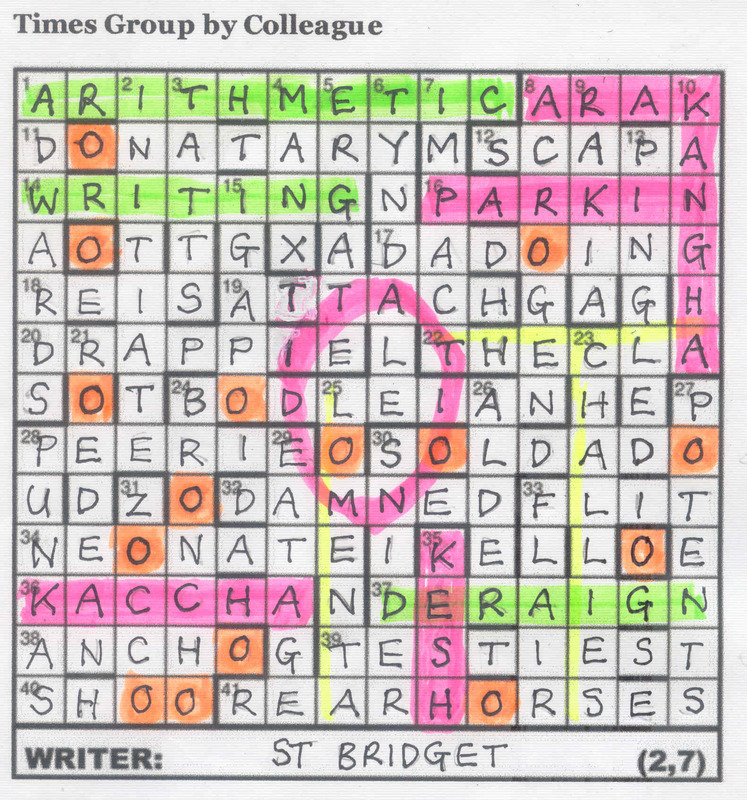 Two more Os were slotted into those isolated squares (putting paid to another fantasy – the word ORDERED had seemed to fill those slots rather neatly, as had KELLY – we had hunted for NED, connected with TATTS, the EATAGE and the REARHORSES – Oh dear!). I have listed about a tenth of our peregrinations – not mentioned the hunt for three-legged things to go with praying mantes and Manx symbols, the words with double consonants etc. Are we the only floundering solvers who explore these absurd avenues? Of course, we still had to find the thematic word of the third group and vaguely wondered whether ‘fifteen’ was lurking somewhere but (will I regret this boast next week?) we are becoming better at finding the word or words to highlight. The obvious horizontal, vertical, diagonal and circular hunt immediately produced MEDITATION. Nice! I thought this one was superbly set and dastardly difficult. Many thanks to Colleague! This is Bufo’s 18th Listener, although he has had only two since 2003. I have a feeling at the back of my mind that he is a bit like Waterloo inasmuch as his puzzles are a little off the wall. The preamble confirms this with Each clue has an extra word with one letter misprinted. And look at the answer lengths: a lot of 12, 13 and 14, and even a 16! Plus, the number of words in each answer is withheld. So lots of phrases then? I start at 1ac, and it isn’t until I get to 8dn that I solve one. Luckily I am old enough to remember the Ying Tong Song by The Goons back in the 50’s, although younger solvers may be helped by the more recent stage show Ying Tong: A Walk with the Goons. Anyway, YING TONG must fit a 4-letter entry, so YING or TONG or YITO or NGNG perhaps! The extra word here is JEW, which is a misprint of DEW, HEW, JAW, JAB, JET and a few more. More help needed here. 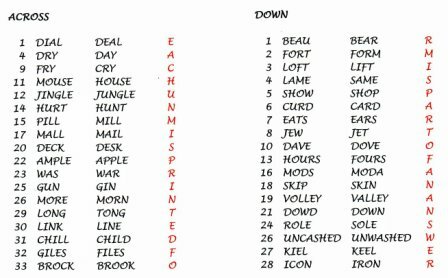 Next comes 24dn IDIOT CARD (5 letters), 19dn RUN OF THE MILL (8), ALL THE SAME (6), and the two clinchers 25ac MAN O’ WAR (4) and 33ac SLOE GIN (4) which fit nicely with RUN OF THE MILL when all last words are ignored. I won’t say that it is a doddle from here on in, but relatively easy, great fun and very enjoyable, finding all the phrases and words with end bits missing. My favourite is THE GREAT UNWASHED with its misprint to be found in It’s hard having first of cheques uncashed and a commotion in progress! The final piece of the jigsaw is that the missing words are the misprinted extra words in the clues. Obvious really!? On the right is a list of the extra words, their corrected forms and the correct letters. The correct letters spell out EACH UNMISPRINTED FORM IS PART OF AN ANSWER. Thanks, Bufo for (a) a short preamble, and (b) a novel and light-hearted puzzle. How you fitted all those bits into a 12×12 grid with 90° symmetry is a marvel, and probably explains why this is only your third Listener in the last five years! More please.